Please check our independent reviews to see our happy customers! "With a roof that needed renewal we contacted 3 roofers. One didn't turn up for the appointment, one didn't provide a quote and that left us with one high quote which ended in lots of zeros suggesting a guess for gullible customers. We then found this roofer out of the local paper. He offered a next day appointment to look at the job and we had a quote 24 hours later. He is clearly a very experienced roofer. The work was carried out very professionally to a high standard. As an example he would not do work when there was an early autumn frost risk because of the damaging effect on the cement and worked long hours to complete the job before the risk was heightened. He started at the time we agreed with him and worked continuously until it was finished. The price was good at the outset. In the middle of the job we chose to have additional work done (newly discovered asbestos removed and more air vents). The price for the additional work was very good even though he had a captive customer at that stage because most of the roof was off. 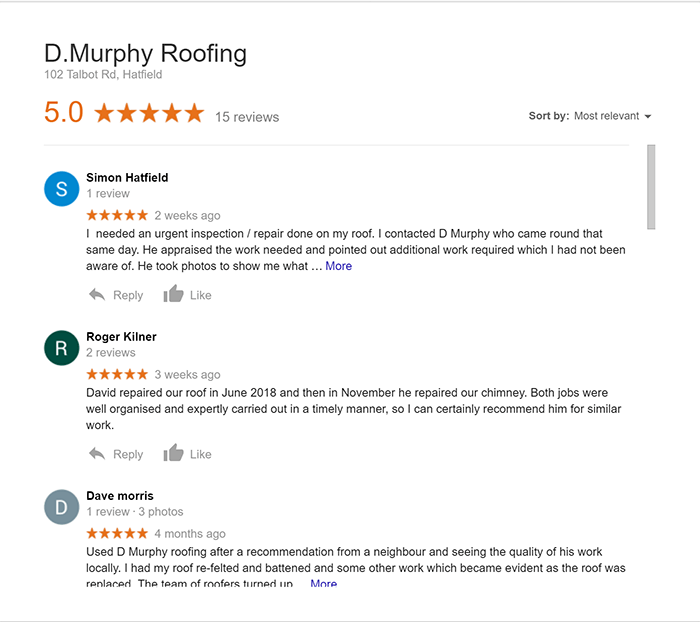 Because neighbours had seen the care and quality of his work and the thoroughness as he was renewing our roof he seems to be the roofer of choice for for this area with 3 others taking advantage of his services. In the light of the above you will realise that we were very satisfied indeed with the roofing that he did for us." 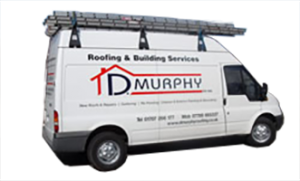 "We contacted D. Murphy Roofing to discuss re-tiling our main roof, having seen work he had carried out on a neighbour's house. Dave was helpful, friendly and professional. He outlined options, offered good advice, and was very clear about the work involved and the costs. The work was carried out by Dave and his team to a high standard in a timely manner and the site was left clean and tidy. We will use Dave again for any roofing work we need and have no hesitation in recommending him to others." "At the end of 2013 we quickly discovered that we needed some urgent roofing work as we were experiencing a leak through our bedroom ceiling. Having contacted several roofers Dave was the only one polite enough to return my call, even though he was clearly very busy at the time. He came round promptly and took the time to assess and explain his recommendations – essentially this was to have a whole new roof as ours was falling apart (he showed me the evidence which was quite damning!). He fixed the worst of the immediate problems within a couple of weeks to keep us water tight, and booked us in for Spring 2014 to have our whole roof re-tiled, and guttering, facias and down-pipes replaced (these were in as bad a state as the roof). Although he had to delay the work for a few weeks (due to the bad weather we were experiencing), he kept me posted regularly on his plans, and once he started the job he was round bright and early every day that the weather permitted. As Dave is such a professional, and clearly takes pride in his work, he was more than happy for me to view his work any time I liked, and on every occasion the work I viewed was of the highest quality. On one occasion I had noticed a hairline crack on some cosmetic concrete work while he re-capped one of our chimney pots (something that was likely to appear within a few months anyway), and without prompting, the very next day when I came back he’d completely replaced the affected area. Dave was honest with me on costings, giving me the best estimate he could initially, and keeping me posted of any surprises he found (of which there were remarkably few). I quickly realised that Dave is an honest, fair and hard working man, and not once could I question his judgement. I would highly recommend him to anyone." 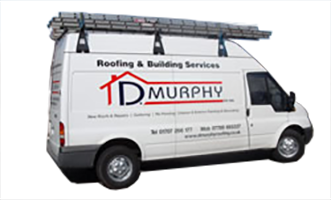 "Mr Murphy has decorated our house and has carried out internal and exterior work. His work was extremely good and he finished this in a quick and pain-free time. The quotation was also very reasonable and I will be in touch when I need any more work required." "David Murphy renewed our guttering, downpipes, soffits, and fascias, and re-tiled a leaking roof valley. I was so impressed that I asked him to lay a new tile floor in our kitchen and paper and paint. He was quick and clean and the work is of a high standard. I have no hesitation in recommending him for any job that he advertises."